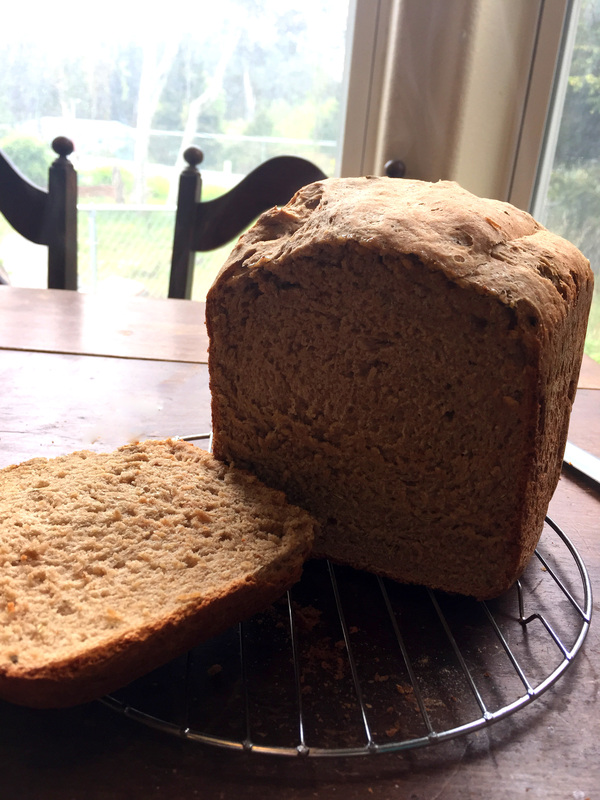 I decided to try my first Rye Bread recipe. In addition, I am also using the delay timer on my bread machine for the first time. It is a day of firsts here. The Swedish Rye Bread recipe is on page 136. Instead of the standard Caraway, this loaf is seasoned with Fennel Seeds and Dried Orange Peel. I can’t wait to taste it. The author’s notes mention this is a great bread to serve with a thick split pea soup. I am hoping it will still taste good with corned beef and Swiss cheese. I loaded everything into the machine about 11:00 pm, with the delay timer set so that the loaf should be ready for lunch tomorrow. Because of lessons learned on my last loaf, I was very careful with my measurements this time. First into the pan, I added the liquid ingredients, followed by the salt. Then came the flour, gluten, brown sugar and seasonings. Last came the yeast. When using the delay timer on your bread machine, be especially careful that the liquid ingredients and the salt will not come into contact with the yeast until the machine starts to mix the ingredients. The liquid will cause the yeast to activate too soon, and the salt will slow fermentation of the yeast. The bread came out of the machine about twenty minutes ago. This one rose beautifully. It has a lovely brown crust and smells incredible. 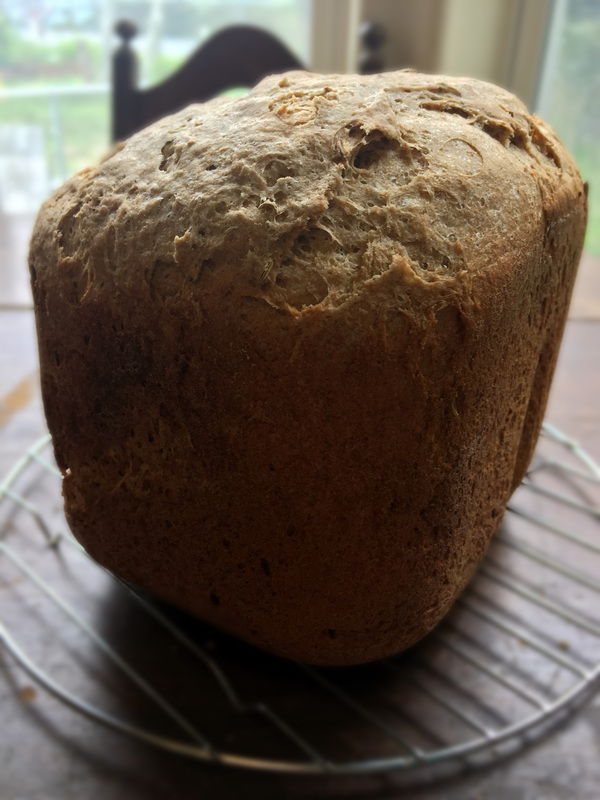 The use of fennel and orange peel as opposed to caraway has resulted in a sweeter tasting and smelling loaf of rye bread. I hesitate a little when I say “sweet” because this is by no means a dessert type bread, it is just less savory in flavor than your standard rye. It sliced easily, I tried making sure the steam rising from the loaf appeared in this picture, but I don’t think I succeeded. The crust is crunchy while the bread itself is moist and slightly chewy. The change in flavor from a standard rye is really nice. While I really like this bread, if you are a deli rye purist, this may not be for you. However, if you are up for something a little different, this is a really good loaf.